In a twin pack, these men's and ladies Puma Coolmax Technical Quarter Length Socks are packed with features for for multi-sport use. 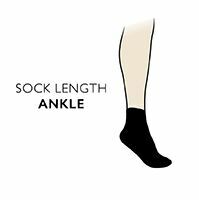 The short ankle socks are a blend of breathable natural cotton and CoolMax fibres that optimise the heat-regulating and wicking abilities to keep feet drier and cooler. While the soles of these sports socks are made with shock-absorbing cushioning soles, toes and heels, the uppers are constructed with mesh weave that allows maximum ventilation. Inbuilt arch supports help combat fatigue and increase foot stability, while a ridged panel at the front of the ankle prevents uncomfortable fabric bunching.